Chickens need to dust bath regularly to remove mites. This can be impossible if they are kept on grass or during wet weather. 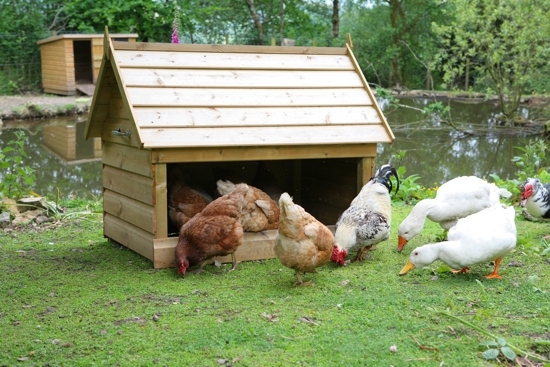 We have designed the Dust Bath Shelter so your chickens can dust bath all year round. Just fill up to the front panel with soil, peat or compost. Comes with ground sheet to keep contents dry.